Does Marty Jackley Want Businesses To Move Into South Dakota Or Doesn't He? Last week's resounding vote of confidence by the South Dakota Chamber of Commerce at its annual Business Day gathering in Pierre only reinforced what I've been sensing all along. But Will They Love Him Tomorrow? This state's business community is pretty much solidly behind South Dakota Attorney General Marty Jackley's candidacy for Governor, giving him 60% of its support, compared to an anemic 23% for his chief primary rival Congresswoman Kristi Noem. The balance went to the Democratic candidate Billie Sutton. This, of course, is about as unscientific as the straw poll at the South Dakota State Fair last summer that gave Jackley a 58% to 41% margin over Noem, but the numbers are facts that have to give Jackley's campaign plenty of reason to cheer. But confident as I am about Jackley's chances, my status as a businessman makes me wonder about the cross-purposes in his campaign. From the "Hometown Initiative" that Jackley released a few days ago, the candidate says that he wants to give "our young people the opportunities they need to remain in the state" and aggressively recruit "employees from outside the state" in order to "retain South Dakota's best and close the worker shortage." This is great rhetoric, but I don't get how it squares with Jackley's unequivocal support on a couple of issue that are likely to turn off the very people he's trying to attract. Jackley's support for gender-exclusive use of school bathrooms probably has plenty of backing from voters here, but promoting a law to that effect in South Dakota would have disastrous consequences for his plan to retain and recruit the best people into our state as a way to bolster and advance our economy. There are just too many companies and institutions that will have nothing to do with a state that discriminates against its transgender residents. Look at how quickly North Carolina repealed its ill-conceived anti-transgender bathroom law when the NCAA threatened to take its basketball tourneys away from the state because of it. Corporate boycotts have become a fact of life for states that codify laws restricting the rights of their LGBT residents, so if Jackley wants to impose his values on bathroom access he runs the risk of costing the state some serious money and opportunities. Same goes for Jackley's support for one of the National Rifle Association's pet causes, "constitutional carry," which okays the holding of a handgun, either concealed or openly, without a permit. Along with my M-16, as a radioman I also toted a .45 during my 13 months as a Marine in Vietnam. I have good reason to get a little nervous about the idea of just anyone getting a handgun off the shelf without a permit. That restrictions are by-passable doesn't mean they should be tossed. I'd be concerned about South Dakota getting a reputation as a shoot-'em-up state now that NRA-boycotts are getting commonplace in the corporate world. Jackley's dilemma is a tough one: if supporting the business community and enhancing economic development are his primary goals, he has to court a national market that can find South Dakota and its codified values all too easy to reject, conspicuously. are saying about outgoing Governor Dennis Daugaard. In dissing Daugaard's lack of support for their agendas, Rapid City Representative Lynn DiSanto (whose legislative efforts at loosening the state's gun law restrictions have hit a brick wall when they reached the governor's office) last month told the Brookings (SD) Register that "conservative legislators . . . just have to ride out Governor Daugaard's last remaining year . . . I think that Daugaard has pretty clearly shown his colors." Ed Randazzo of the state's Family Heritage Alliance, which has supported transgender-targeted bathroom legislation that has also failed to get a pass from Daugaard, added that if either Noem or her main primary opponent SD Attorney General Marty Jackley becomes governor "we think that the governor's office will be more receptive to our issues." It looks like "gun rights" and "family values" conservatives in South Dakota will be getting wooed aggressively by Noem during the primary campaign. Her official video sets the tone. She asserts that she's "pro Second Amendment" and concludes with a fetchingly tongue-in-cheek touch: "I can still ride horse. I can still shoot a gun. What else do you need in South Dakota?" Adorably condescending as it is, the line compresses the essence of her appeal. She's one of us and we're all nice people who work hard, shoot straight, and love the land, right? 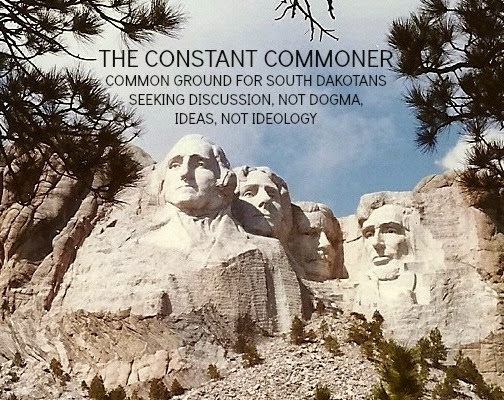 More pointedly useful is Noem's commitment to social values embraced and promoted by South Dakota's Family Heritage Alliance, which calls her "a longtime and faithful supporter" of the organization's Christian conservative agenda. Voters who are focused on conventional, secular issues like the economy and government operations won't find much on Noem's website. Looking for them elsewhere I found a recent interview with KSFY television that revealed both substance and vision. Actually, she nailed it on one front: South Dakota's "brain drain." Noem notes that many of our young people "get through college and leave for higher paying jobs." Obvious as it is, it's nice to hear a politician acknowledge the fact. Noem wants to turn that trend around by aggressively courting businesses to come to South Dakota, upgrading our technological infrastructure, melding biotech with our ag sector and expanding county-specific developments in the vast rural sections of the state. These are themes she needs to push. Noem's already well-established Christian conservative creds won't be enough to take her over the top. They certainly didn't help her at the state fair in Sioux Falls last summer, where Noem's main primary opponent Jackley won a straw poll with 57% of the vote to Noem's 41%--unscientific, yes, but an eye-opener just the same. Kristi Noem would be smart to reach out to secular voters and get their attention by stressing accelerated economic growth. That "brain drain" issue is one that will hit the mark in a lot of homes in this state. is symptomatic of the budgeting stasis that has characterized state government during Dennis Daugaard's tenure as governor. 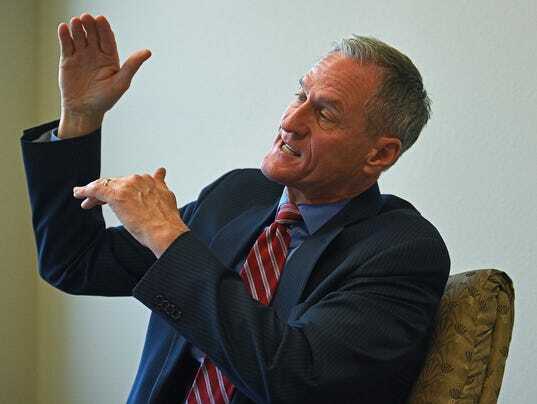 The 1.9% improvement over Daugaard's downwardly revised projections toward the end of last year seems to have provoked a collective sigh of relief in Pierre. Daugaard greeted the news by saying that last December there was "little hope" that the revenue shortfall could allow for even inflationary increases in funding for education, Medicaid providers, and state workers. Now Daugaard is telling the Rapid City Journal that there is "certainly hope" but that "time will tell." Indeed. Going into his eighth and final year as Governor, Daugaard's wait-and-see posture remains unshaken. Unaddressed is the need for dynamic and pro-active leadership when it comes to finding ways to goose South Dakota's economy to at least the point where we can keep up with the growth rates of our immediately neighboring states, not to mention the U.S. as a whole. As noted here before, South Dakota's per capita growth through 2016 has fallen far behind the rest of the country during Daugaard's tenure in Pierre. Complete 2017 data have yet to be released, but considering that SD's personal income growth during Q2 and Q3, 2017 were 44th and dead last, respectively,in the country, I doubt that we'll see much improvement in our standing when the final numbers for 2017 come out in March. Meantime, as to those higher-than-expected sales tax receipts that have ratcheted up the hope level in state government (House Majority Leader Lee Qualm says his mood is "guardedly optimistic), I'd say the news should be an embarrassment to those who see some hope in them. The South Dakota Department of Revenue discloses that 2017 taxable sales for the state were just 1.05% higher than in 2016. That would be half the relatively modest 2.1% national inflation rate for the year. Being guardedly optimistic about revenues that can't even keep pace with inflation is a measure of the impotence of our state's leadership when it comes to moving South Dakota's economy forward. Considering that the U.S. Department of Agriculture projects a decline of nearly 7% in U.S. farm profits during 2018, I don't see our ag-dominated state's financial fortunes improving much during this last year of Governor Daugaard's tenure. USDA's projections expect the lowest farm income since 2006 to materialize this year, which only highlights the failure of South Dakota's leadership to create broader economic opportunities and take advantage of those that already exist. For example, the irrational rejection of the billions of dollars that would have materialized by expanding Medicaid comes to mind right away. There are others, and they're worth exploring. As we bid adieu to Daugaard, we have a chance to check them out in the context of what his contending field of replacements have in the way of economic development ideas. I'll do a 3-part series on just those issues and my take on how Kristi Noem, Marty Jackley and Billie Sutton plan to address them starting next week. deficits was suddenly exposed last week. The stock market nosedived, with the Dow Jones Industrial average falling more than a thousand points (about 4%). I don't think it was a coincidence that the market sank during a week in which President Trump's State of the Union speech ignored mentioning the budget. Trump had good reason to lay rhetorically low because it turns out that the United States Treasury is going to have to sell nearly twice the bonds that it did last year in order to finance government operations, much of the reason being a shortfall in revenues "due to sweeping tax cuts," according to the widely-followed financial website Marketwatch.com. I spent a little over a decade ('78-'89) as a member/floor trader on the Chicago Board Options Exchange, and learned very quickly that rising interest rates are the fastest way to put the brakes on a bull market. Considering that the United States Treasury is probably the biggest single borrower of money in the world, the need to raise a trillion dollars more than it did last year has already affected interest rates, pushing them higher, and probably will continue to do so for the rest of the year. It's little wonder that President Trump chose to ignore the subject altogether last week. The financial markets weren't quite so oblivious, of course, pounding stocks and bonds unmercifully throughout the week. Meantime, our GOP reps in Congress have dropped their hypocritical tirades against expanding federal deficits. 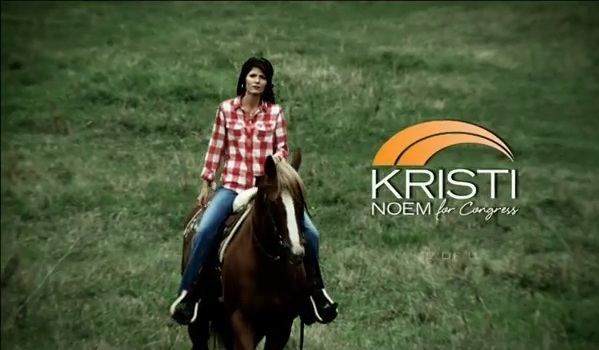 Representative Kristi Noem once voted to shut down the entire government as a statement against increasing federal debt. Senator John Thune on his website has said "our country is on an unsustainable fiscal path." Senator Mike Rounds in 2016 sounded alarms over federal debt, saying we're in "for a grim future . . . if we don't rein in spending . . . and address our $18 trillion dollar debt." So how did these three follow up on their respective crusades against increased federal borrowing? By completely ignoring the holy grail of Republican dogma against out-of-control budgets and voting enthusiastically for a tax cut that has already sent this year's borrowing requirements skyrocketing. So tough is the situation that Congress will have to raise the debt ceiling by late March in order to make interest payments on U.S. Treasury notes. This will present our heretofore debt-averse reps in Washington with the exquisitely uncomfortable prospect of thinking about the unthinkable, i.e., increasing federal red ink. Our reps had plenty of advance notice about this. The Congressional Budget Office itself warned about the tax cut increasing deficits by more than $1 trillion. But did our congressional delegation care? Not much. They made some history-defying supply-side noises about increased economic growth creating more tax revenues, but now that the financial rubber is hitting the fiscal road, the United States Treasury can't depend on that political voodooism to materialize. It's planning on a boatload of borrowing needs this year. As that transpires, South Dakotans can plan on higher interest expenses as we compete against our own government for money.